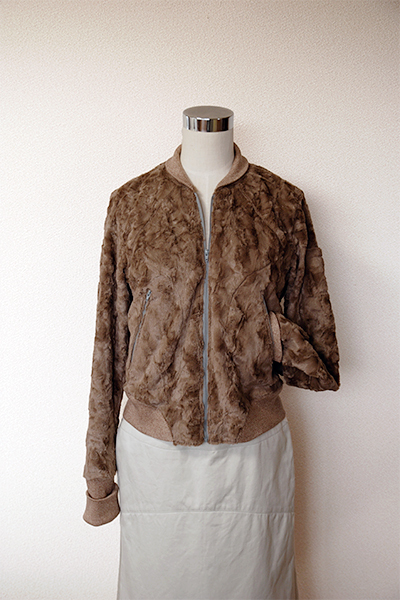 I sewed a blouson jacket using a synthetic hairy fabric and Kyanite pattern from Tamanegi-kobo. It was at the end of my fourth lesson of high-heel walking (yes, there is such a class) that this young and beautiful teacher handed me a pile of paper. Then she said "I collected those pictures from fashion magazines and made a scrap notebook for you. I believe these styles would suit you very much." It happened to me because she had been asked to make some fashion suggestions to other student in the class before and she made these scrap notebooks as inspirational materials not only for the student, but also two other students. 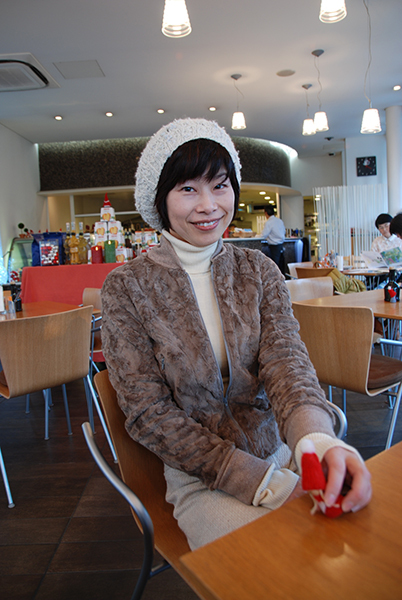 (There are only three students and we became good friends to each other). To confess, it was a slightly odd experience for me because I felt as if I was told to give up my current style for the better one. Even so, I honestly appreciated her kindness very much. I knew she did it for helping us. She wasn't too pushy in any ways, and I knew I was not going to take it too seriously either. 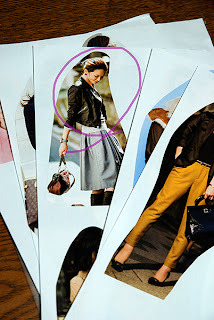 "yes, it is too difficult to imagine myself in those clothes in the fashion inspiration notebook she made, because they're so different from the ones I'd choose in the first place... yeah... people see things so differently, right... interesting... mmm. ... wait, is it possible for me to take it as a challenge? Isn't it fun to choose items from the notebook and make them suit me, at least, better? Wouldn't be interesting to translate? Okay. 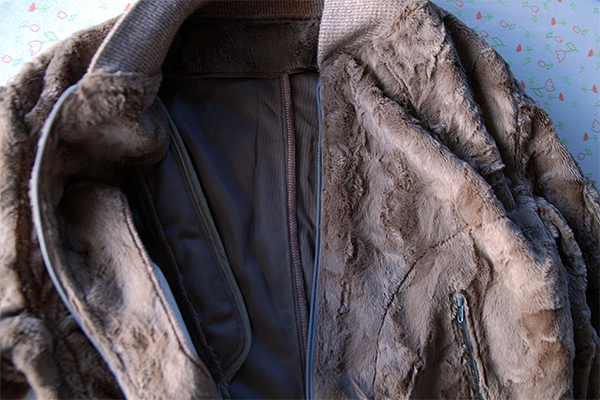 Then I'd choose the biker jacket and see what happens... zzzz"
So I chose the biker jacket pattern Kyanite. I traveled to my favorite fabric shop and got this fake fur jersey in teddy bear-brown, because I thought the furry texture and its frivolousness disguise the stylishness of the jacket and that would suit me better. Matching rib jersey was also ordered quickly. Sewing was done at the speed of light. I wanted to attend the next class in this blouson jacket to show them the consequences I got! Though I sadly missed our fifth lesson because my careless husband broke his left arm just before the class and I had to deal with the things that his family had to do, I still have another lesson(the last one) in a week. I can tell her what she did is very inspirational to me there. I got a new lovely jacket which I normally wouldn't choose, and I got a new haircut chosen from her inspirational notebook too. I guess my hair will grow quickly and I will have to have my usual bob hairstyle quite soon anyway. (My hair automatically grows to achieve the bob hairstyle and stay forever like that like Lego dolls.) Meanwhile, I enjoy my new jacket and the short hair as an unexpected bonus of my life. Hope you are having exciting days too!